Pierre-Auguste Renoir was one of the most prolific artists ever. He had 6000 paintings completed during the 60 years when he was active as an artist. Pierre- Auguste Renoir was born in 1841- 1919. He was a French artist who was a leading painter in the development of the Impressionist style. Renoir was born in Limoges. He worked in a porcelain factory where his drawing talents led to his being chosen to paint designs on fine china. He began studying art under Charles Gleyre in Paris in 1862.At times during the 1860s; he did not have enough money to buy paint. Renoir developed rheumatoid arthritis in 1892. 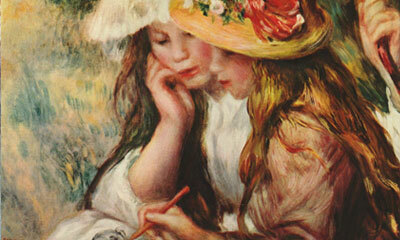 Renoir spent five years porcelain painting. Although the first impressionist exhibition was held in 1874. Renoir was a part of the impressionists, and he still struggled for acceptance from the establishment, and the consequently times were difficult financially for Renoir. He still becomes successful. He started out as an apprentice to a porcelain painter, and he studied drawing in his free time. 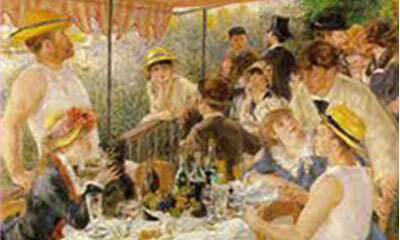 Renoir helped launch an artistic movement called Impressionism in 1870s. He became one of the most highly regarded artists of his time. He died in Cagnes-sur-Mer, France, in 1919.